Back in March, Gizmodo published an investigation into what was “almost certainly” former FBI director James Comey’s Twitter account. 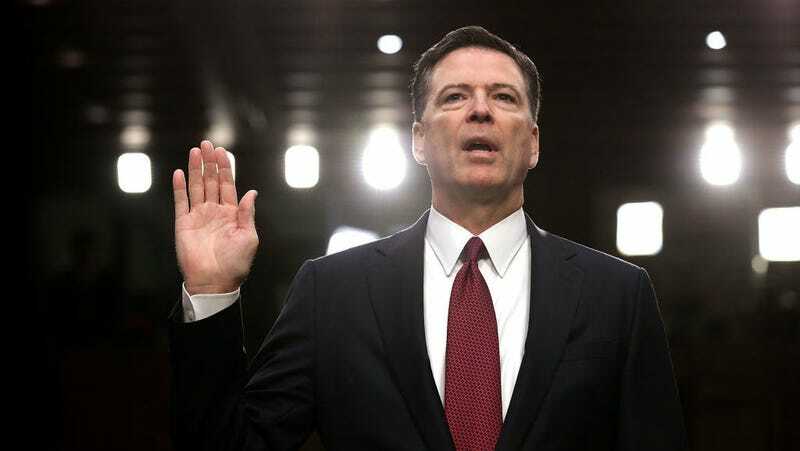 At the time, he was still the FBI director and his very public falling out with president Donald Trump was still a ways off. Now that Comey is free, he has decided to let the world know that he is indeed Reinhold Niebuhr. After some serious sleuthing, Gizmodo’s Ashley Feinberg was able to determine that all of the circumstantial evidence pointed to Comey using the handle @projectexile7 on Twitter. Project Exile was a federal program that Comey helped get off the ground in the late 90s, and his chosen username, Reinhold Niebuhr, was a reference to a theologian that Comey focused on in his college senior thesis. Though the account had never tweeted, it had liked 39 tweets by others. Many of them relating to news about the FBI and the federal investigation into Russian meddling in the 2016 election. At the time, the account only had one follower, Benjamin Wittes of LawFare Blog, a man who’s known to be personal friends with Comey. Following the publication of Gizmodo’s report, the account sent out its first tweet, an Anchorman joke that seemed to imply the FBI director wasn’t mad about being exposed. Since then, the account has remained dormant. But on October 18th, it came alive again, blasting out peaceful images of nature accompanied by innocuous commentary like “Beautiful fall day at West Point,” and “Good place to think about leadership and values.” That certainly sounded like some boring things that Comey would tweet. Speculation that Comey was going all in on Twitter ran rampant and today, the man himself put one of his giant shoes in front of the other and stepped out from behind the camera. Benjamin Wittes tweeted confirmation today that the account does indeed belong to Comey. His handle has changed to @FormerBu to indicate his status as a former member of the Bureau. And his posture is now that of a man telling the world, “I used to be part of the Bureau, but I’m not anymore, and I’m writing a book.” But it’s the same old Reinhold.